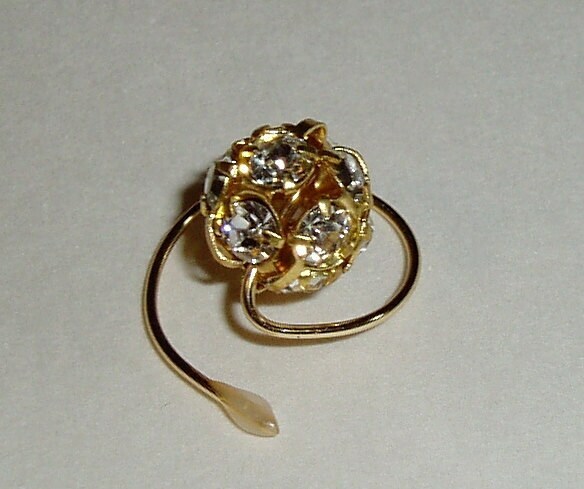 Beautiful Swarovski Crystal Hair Swirls in sparkling crystal clear rhinestones embedded in a gold tone filigree ball. 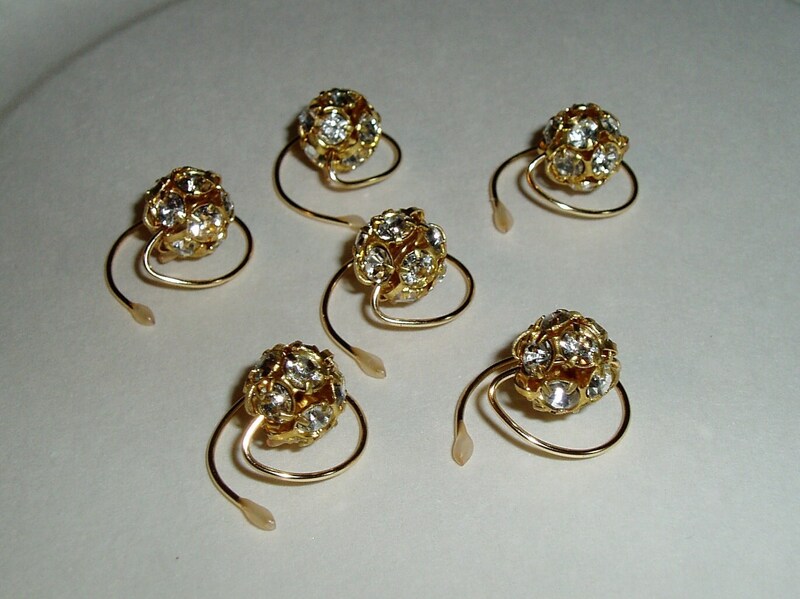 Each Swarovski ball is 10mm in size. These come in a set of six and are so easy to use. 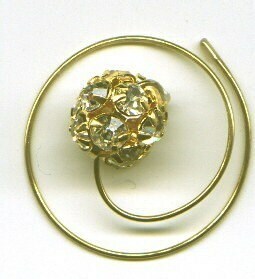 Each crystal disco ball hair spin is mounted on a tarnish resistant gold tone copper wire. Just twist the hair spiral into your hair until only the ornament is showing. Twist in the opposite direction to take them out. They will stay in your hair as you dance the night away. Wonderful for Ballroom dancers. 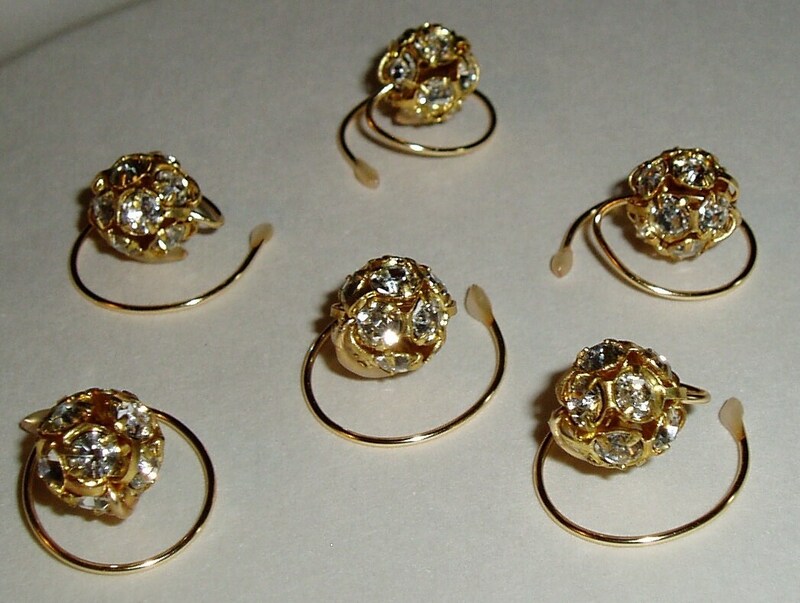 The Swarovski crystal balls will be dazzling in your hair. I guarantee it or your money back. 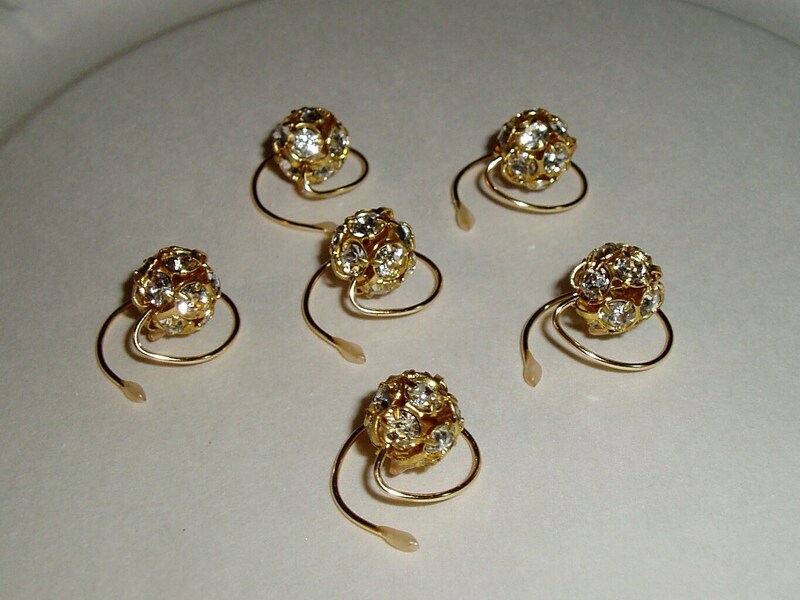 Crystal ball hair swirls are the perfect thing for your prom, wedding, skating or Pageant competition.